Perfecting the art of a great cup of coffee requires a lot more than some quality beans. From start to finish, how you make your brew depends a lot of the special tools you use along the way. With all kinds of espresso and coffee beverages prepared using several steps, consistency is the secret ingredient to amazing coffee. If you are looking to make the coffee-making process easier and more precise, our barista tools here at Seattle Coffee Gear are perfect for you. Read on to learn more about our coffee scoops, spoons and scales to find the right tool for your next brew. No espresso is complete without a demitasse spoon. Add this espresso spoon to your collection for an easy way to stir sugar, milk or cream into your espresso. This multi-functional European kitchenware staple is designed to complement a demitasse cup and saucers, and can also be used with other coffee drinks. Whether you prefer your coffee simple or sophisticated, poured-over or a classic espresso shot, a demitasse spoon is a must for any espresso bar. When it comes to coffee, it isn’t always as simple as it seems to get the proportions of coffee and water exactly right. If you’re looking for a fool-proof way to make an exceptional cup of coffee, you need to invest in a great coffee scale. 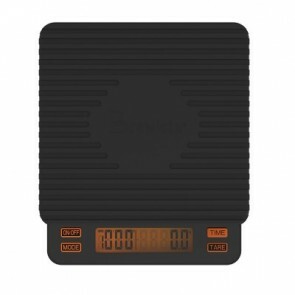 Scales are perfect for giving you exact measurements for your grounds. Weighing the coffee out by grams takes the guesswork out of achieving that perfect cup. Prefer to measure by volume? Our coffee and espresso scoops are great for anyone who wants a precise and convenient way to make coffee. Coffee enthusiasts and experienced baristas alike rely on reliable measurements to maintain delicious consistency and balance with each brew. Browse our specially selected collection of scoops, scales and spoons to find the specialty cafe tool that is right for you.